12 Tags of Christmas with a Feminine Twist. Beautiful sky colors, snow on the ground, a couple of barren trees and a wonderful white forest creature. I have a confession to make...... I really don't get the tag thing I see all over the internet. Yes they are pretty, but unless you give lots of gifts to people, what do you do with them? So......I couldn't stand it...I had to implement this tag into a card. 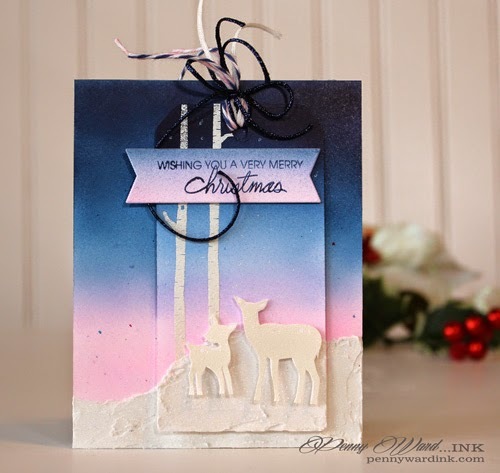 A wonderful tag adhered to a card with the same background of beautiful colors and snow. Loving the sparkly snow effect. I'm in agreement with you on he tag thing... I just have to use them on a card instead of as a stand-alone! I love your ink blended background on this! 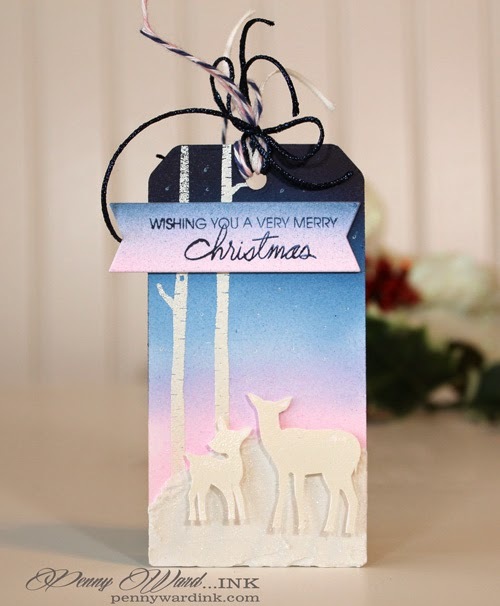 Love how you incorporated your gorgeous tag onto a card! 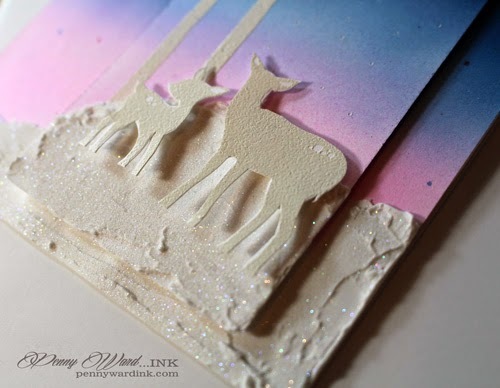 Beautiful take on Sandy's tag! That's pretty much what I do with my tags--or stick them on small gifts.